Available in a range of topologies, an uninterruptible power supply’s (UPS) primary function is to provide short-term emergency power to a load when the utility power fails or during power anomalies, these may include; power failure, power sag, power surges, under-voltage, over voltage, noise, frequency variation, switching transient and harmonic distortion. Previously, applications were run off rotary UPS systems which used the inertia of a high-mass spinning flywheel to provide short-term power protection, however, these have been superseded with modern, more cost effective and more reliable static UPS technology. 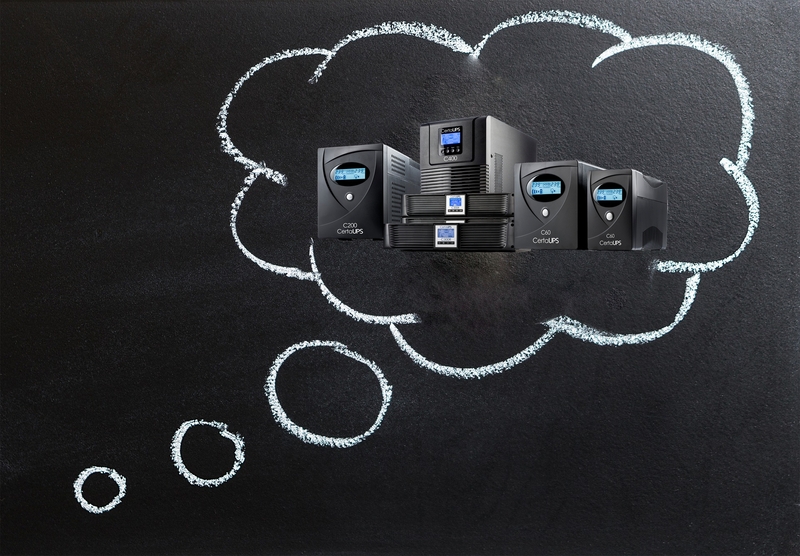 Although they come in a variety of topologies, the fundamentals of a UPS are much of the same. They all rely on batteries, an inverter a charger/rectifier and in some cases a static switch. Two of the most common UPS topologies are line interactive and online double conversion. Ideal for applications where utility power is already fairly clean, a line interactive uninterruptible power supply monitors an incoming voltage from a mains power supply to a critical load. These systems typically rely on a multi-tap variable-voltage autotransformer which is a special type of transformer able to add or subtract powered windings, thereby increasing or decreasing the magnetic field and the output voltage of the transformer. A buck-boost transformer may also be used to adjust the voltage applied to AC equipment when wired to provide galvanic isolation. If a utility power failure or power anomaly is detected the UPS will switch on, transferring the load to run off its internal battery. This switchover is dependent on a surge protection switch (SPS) which may take up to 25 milliseconds to activate. Although this is not long enough for an objectionable dip or a brownout to a personal computer, it may not be suitable for more sensitive loads such as hospital equipment. Line interactive UPS systems are a cheaper option than online double conversion technology and will protect a critical load from power failures, power sags, power surges, under-voltage and over-voltage. Unlike the online double conversion topology, it will not protect against electrical line noise, frequency variation, switching transient and harmonic distortion. Specialising in single phase UPS systems, CertaUPS manufactures a range of line interactive systems which are available from 800VA to 3000VA and include both tower and rackmount variations. The C200 1000-2000VA produces a pure sinewave output and includes an automatic voltage regulator (AVR). The C300R is a rack mountable UPS only taking up 2U of rack space and encompassing all the key features of a smart, line interactive, single phase UPS solution. Providing the highest level of utility power protection, the batteries within an online UPS system are always connected to the inverter so there is no power interruption. The online topology is often referred to as ‘double conversion’ because the internal rectifier converts incoming power from AC to DC, for the UPS battery, and then back to AC before reaching the load. The rectifier ensures power from the batteries is steady and unchanged when utility power is lost. The batteries are charged when utility power is restored as the rectifier carries most of the load. Additionally, an online double conversion UPS system contains a static bypass switch meaning it may remain online and supporting the critical load during maintenance, repair or replacement. The online technology is necessary for backing up equipment that is very sensitive to power fluctuations. It protects critical loads against the same power anomalies that a line interactive system does with the addition of electrical line noise, frequency variation, switching transient and harmonic distortion. CertaUPS provides a number of online double conversion UPS systems including rackmount options, from 1000VA to 20kVA with a vast array of applications and features. Although the initial cost of an online UPS system is greater than a line interactive system, the total cost of ownership (TCO) is generally lower as the batteries tend to last longer.